Happy Monday everyone! I hope your weekend was fantastic. Mine was busy! On Saturday my youngest son and I were priviledged to participate in the annual "Rake Up Boise" event. (And I have the sore muscles to prove it this morning.) Afterwards, we spent the day with 2 of my sons and their wives. Which also means, I was able to hug on that little grandbaby of mine! The perfect day really! Today I want to share with you a very cool project (I think). 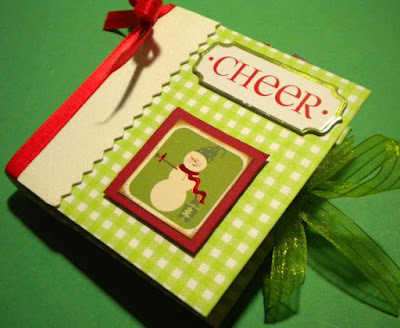 While I love to make cards, and consider myself mediocre at scrapbooking, I DO love to learn and explore other things that can be created without having to have tons of expensive new tools (although I love having those tools!). I discovered this simple and creative project while watching youtube videos awhile ago and thought I would share with you how it's done. You may remember seeing it included in the Pink Blog hop I was recently involved with. 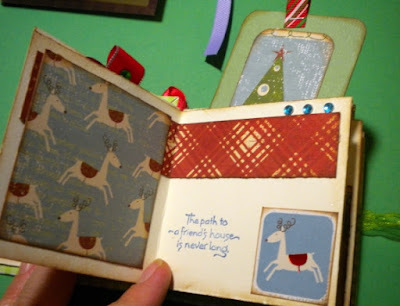 Here are a couple close up images of the mini album, and then afterwards I put together a video demonstrating a more detailed look at all the pages of the album and of course, a tutorial on how to build one for yourself. I hope you enjoy! wow this is just drop dead gorgeous. u r one talented lady. i am gonna have to lift this project. This is SO cute Shelley!! I think I am going to make one myself.. see how it comes out! lol TFS! This is the cutest little book ever. Thanks so much for taking the time to do a video. Im going to have to try this one. I love the look of it and it doesnt look that easy but Im sure once you get into it it makes since. I love the color papers you used and your tags are beautiful! TFS...Looking forward to seeing more from your talented self :) Thanks. Ohg Shelley that is so neat. I would never imagined how you could possibley get that out of one piece of paper. And you instructions were so clear. Cant wait to give it a try. Thanks so much. You are so talented and have such neat ideas. I love these little books!! Thanks for sharing and for the wonderful video. This is a wonderful project..I can't wait to make one! LOVE this project and it will be my next project for sure! Can't wait to get started!!! "I'll Have a Blue Christmas Without You"
A Thanking We Will Go!